Despite a record year for offshore wind finance, new global investment in renewable energy dropped by 18% last year to $287.5 billion, according to recent research. Data from research firm Bloomberg New Energy Finance indicate what it calls “a marked cooling in two key markets – China and Japan”. 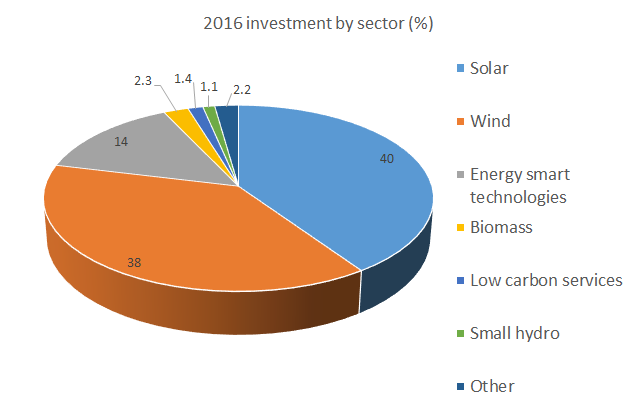 Renewable energy investment in China was $87.8 billion, or a decrease of 26 % comparing to the all-time high of $119.1 billion attained in 2015, while the equivalent figure for Japan was $22.8 billion, a decline of 43%. The capital spending commitments hit $29.9 billion for offshore wind in 2016, or up 40% on the previous year.